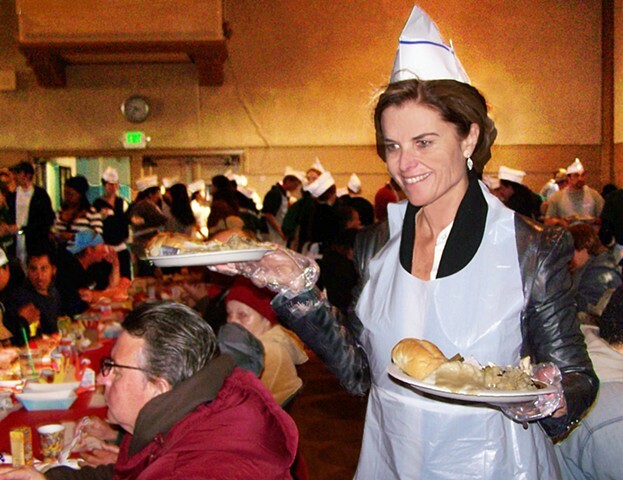 It's never disappointing to yearly dine at St. Monica's Thanksgiving Day Feast, especially when seeing Maria, who enthusiastically enjoys helping out with serving plentiful nutritious dinners. "Whatever Life Dishes Out, We Still Have Much To Be Very Thankful For." Similar in perspective are these two images juxtaposed by both serving the indigent and socially challenged from the historical past to the jovial present. Retrospectively, click on and enjoy listening to Vangelis on the Nina, Pinto and Santa "Maria" www.youtube.com/watch?v=rN-NsFWtXQY&?